Bring your business to the outside world. 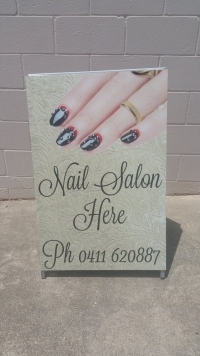 Kirkby Signs A-Frames are a great way to get attention from people going past your business on the Gold Coast. Our A-frames have a 3mm aluminium panel on both sides which can have a digital print (and laminated for easy cleaning and protection against the weather), or vinyl lettering, blackboard or whiteboard panels can be applied. If you require changing your A-frame regularly a corflute-insert a-frame is the best option. 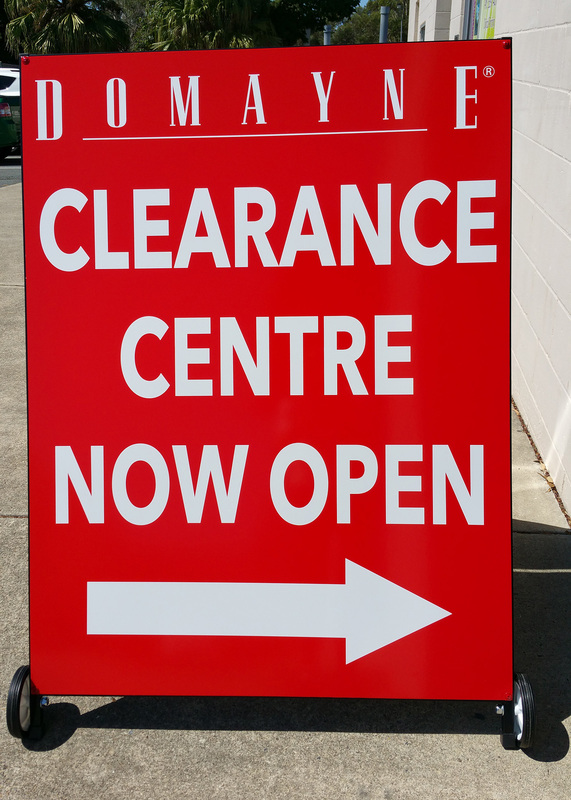 An A-frame sign is also a great way to advertise your business offsite at tradeshows, special events or simply on the footpath down the road, where the greater foot traffic is. From small to extremely large banners. 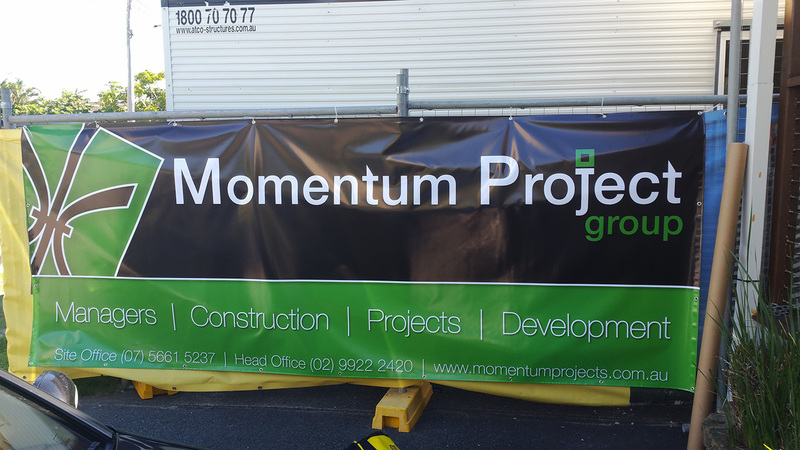 Banners are a great way to promote your business as they are light weight, easy to put up, transport and store well. Kirkby Signs can Manufacture FLEX BANNERS are a permanent sign on a wall or building that is held up with a metal sail track. 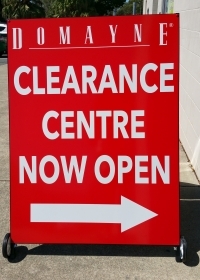 OUTDOOR BANNERS are great for advertising your events and sales. They come with ropes and eyelets sewn in. MESH BANNERS are great for construction sites or big factory fences as the mesh lets air flow through so the fence doesn’t blow over and are sewn and attached to the fence with zip ties. 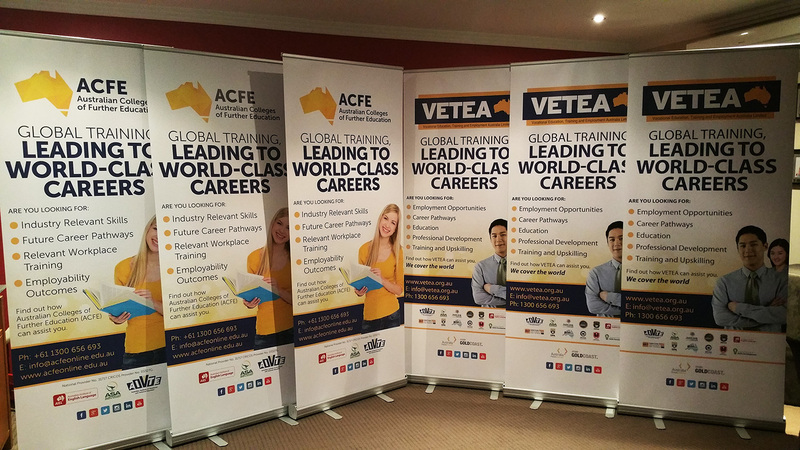 PULL UP BANNERS are great for indoor displays or signs that need to be moved regularly. 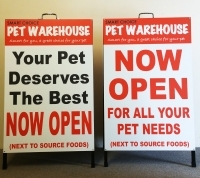 They are ideal for customers who need to change their banner regularly and are compact and lightweight for traveling. Banners can be digitally printed with logo’s, photos and text. If you are needing to change and reuse them for another event, we can have adhesive vinyl lettering applied. Just call us today to discuss your business needs.